Hulsey Software is a professional St. Louis web design company, founded by software engineers in 2004. We cater to small businesses looking for website solutions to build successful, online companies. Our goal is to ensure your success by delivering a top-quality product which will improve your business growth and image and provide a great return on investment. We focus wholly on you, so we only take on a small number of new clients a month to give each client personalized service, creating a unique website solution to suit your needs. Trust and integrity are key factors in how we deal with our clients. Because we focus on our clients and develop long-term relationships with most, almost all of our business comes from repeat clients and client referrals. We're proud of that. We hope to form a long-term partnership with you, too. Through our consultation with you and our research, we develop an understanding of your industry, business, goals, and competition. We align your website with your business goals and needs. 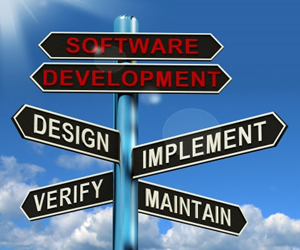 Read more about How Hulsey Software Works. We have been doing software development in various environments since the late 1980s and started creating websites in 2000, although we didn't found the company until four years later. We have training in website marketing and in the best SEO practices. Using proven techniques, we will make your online business successful. We are passionate about what we do and eager to work with you to make your website investment successful. Give us a call or use our email form. We never use high-pressure sales tactics. We would love to hear from you!